Penthouse 1200 sf condo, with 2 bedrooms, 2 bathrooms, 1 detached garage, south facing a great location with view of highline canal! Awesome Windsor Lake views in wintertime after the leaves fall! 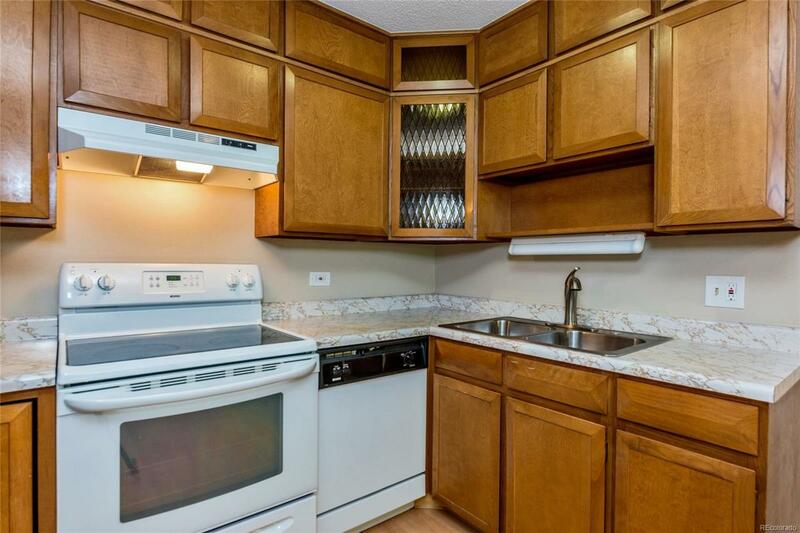 Move right in condition- this unit features, quality carpet, and new paint. Kitchen features laminate floor, and all appliances stay. 3 newer wall a/c units. Bonus multi-purpose room off hall. Screened in lanai, NEW vinyl slider door on order and is included in the sale. Bonus storage room in building, right down the hall on same floor. Denvers largest active adult living community, age 55+.FHA/VA approved community. Taxes are included in HOA monthly dues! And also includes heat, water, 24-hour patrolling community responder, club house w/indoor & outdoor pool, hot tub, sauna, 9 hole par 3 golf course, activities, restaurant, & more!